If you prefer, you can order without using our basket. 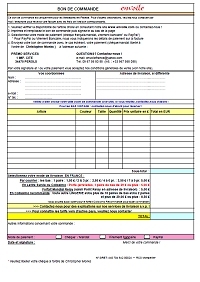 Simply print out this order form and send it to us with your cheque drawn on a French bank. If you wish to pay by PayPal, Monry Order or Bank Transfer please contact us so that we can finalize your order.